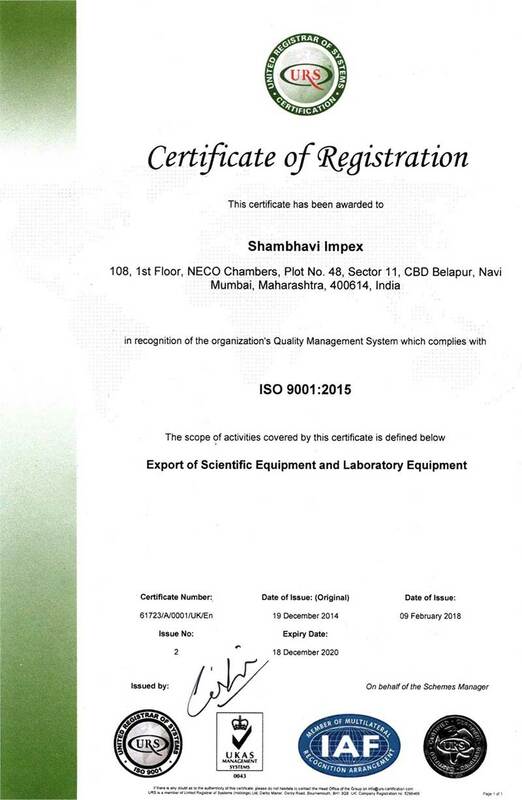 Suitable for standard specimen and also structures. 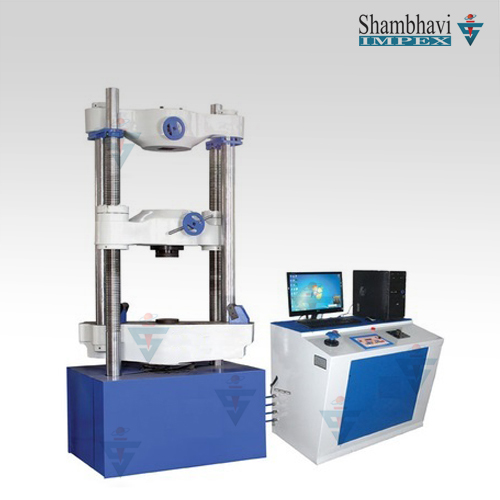 Motorized UP / DOWN movement of lower crosshead to enable easy and rapid fixing of test specimen. Loading accuracy as high as ±1%. Training roll autographic recorder supplied as standard to enable study of the behaviour of materials. 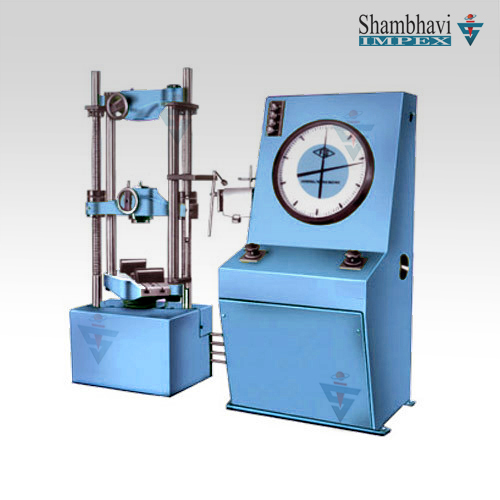 High reading accuracy due to large size and design of dial. Wide range of standard and special accessories, including load stabilizer. Easy change from plain to threaded and screwed specimens. Motorised loading and unloading cycle. Large effective clearance between columns enables testing of standard specimens as well as structures. Simple controls for ease of operation. 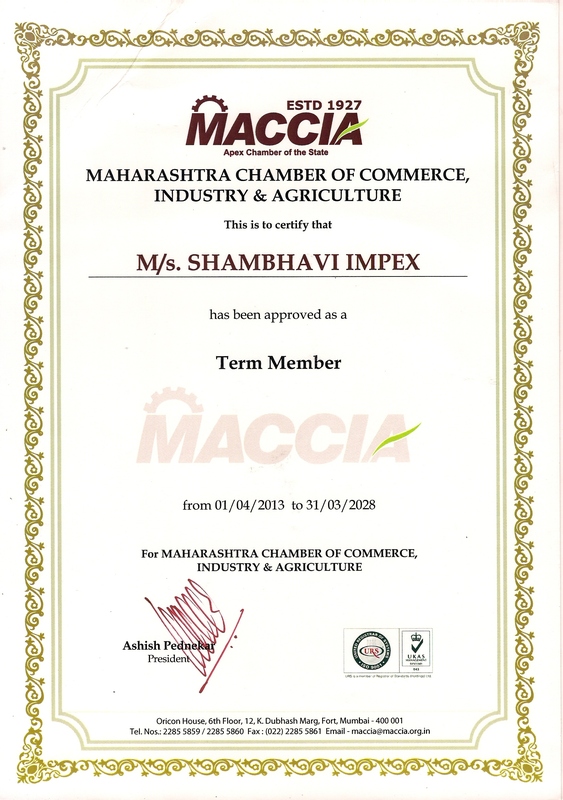 Safe operation ensured by means of safety devices. Fully enclosed and protected pendulum.